USE CODE LIVE. 100% DEPOSIT MATCH UP TO £200. 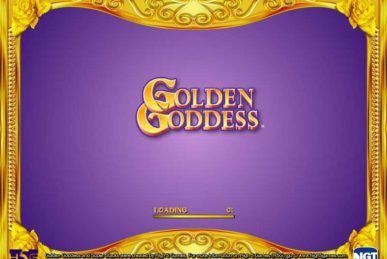 AVAILABLE ON SELECTED LIVE CASINO AND TABLE GAMES ONLY. 7-DAY EXPIRY ON BONUS. 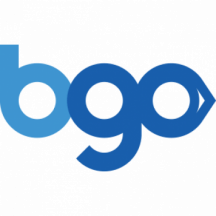 40X WAGERING (MAX BET 20% OF BONUS) BEFORE BONUS BALANCE CAN BE WITHDRAWN. WAGERING IS WITH REAL MONEY FIRST. GAME CONTRIBUTION WEIGHTINGS APPLY TO WAGERING REQUIREMENTS. £50 MIN DEPOSIT + 2.5% FEE (MIN 50P). NOT AVAILABLE USING NETELLER OR SKRILL. CASH BALANCE WITHDRAWABLE ANYTIME + £2.50 FEE. 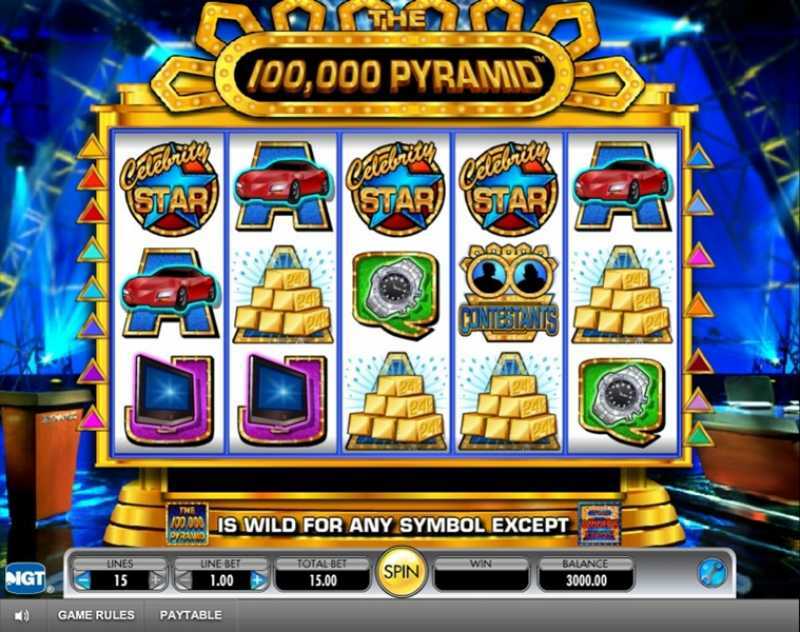 The 100,000 Pyramid symbol is the big fish on this slot as it serves as both the jackpot symbol and the Wild. The Wild substitutes all other symbols other than the Scatter, which is represented by The Winner’s Circle symbol. Other symbols which will please your eyes are the Mystery 7, Gold Bars, Contestants and the Celebrity Star. Each of these offer some pretty decent payouts. The remaining symbols are based on playing cards with an image overlay relating to the TV game show. The Winner’s Circle scatter symbol is what you are after here. If 3 or more of these appear on the reels, then you are heading into the bonus round. 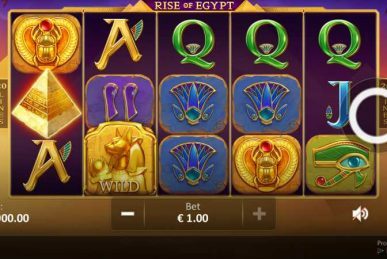 You’ll see a pyramid which is made of individual blocks and you get 5 picks in which you must advance up the pyramid, collecting free spins and multipliers along the way. It’s possible to gather a maximum of 36 free spins with a 9x multiplier. 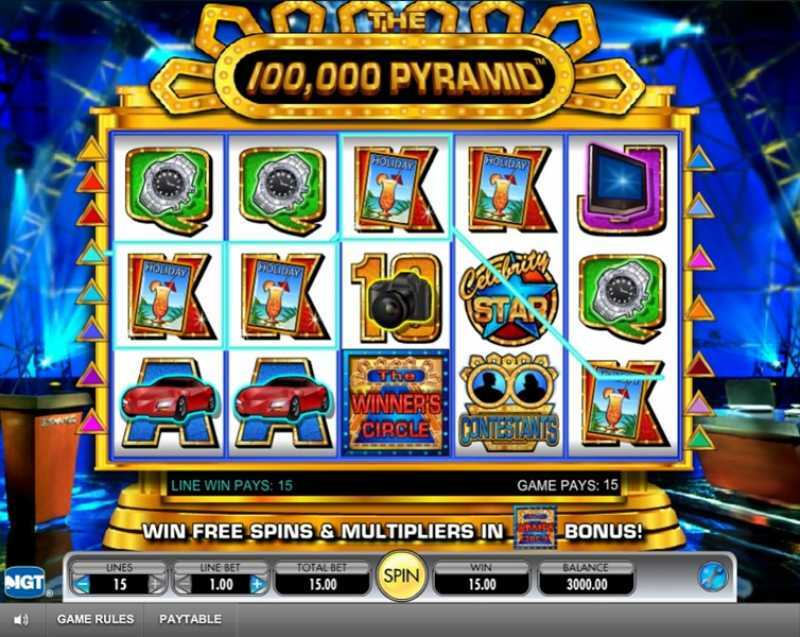 Sadly, you can’t re-trigger free spins from within the bonus round, but the bumper multiplier still makes this a worthy adventure. There’s quite a bit of flexibility in terms of pay-lines and line bet amounts. For the number of lines, you can choose between 1, 3, 5, 9 and the maximum 15 pay-lines. 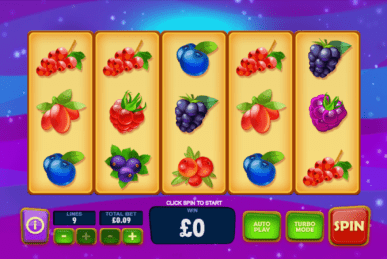 The line bet ranges from 1p all the way up to £30. That means if you’re betting the full monty, it’ll be £450 a spin. Spinning 5 of The 100,000 Pyramid symbols on a payline nets you a fixed £100,000 jackpot. 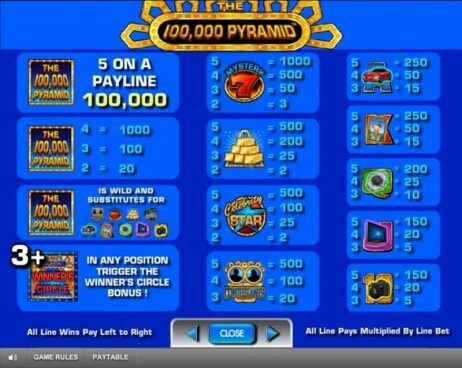 Other wins are multiplied by the line bet; like 5 Mystery 7 symbols are worth x1000, 5 Gold Bars brings you x500 and so on. This slot plays with a high variance so players need to strap themselves in for the duration. You can go a while without it giving too much away but once ready to pop, then it’s time to fill your pockets. 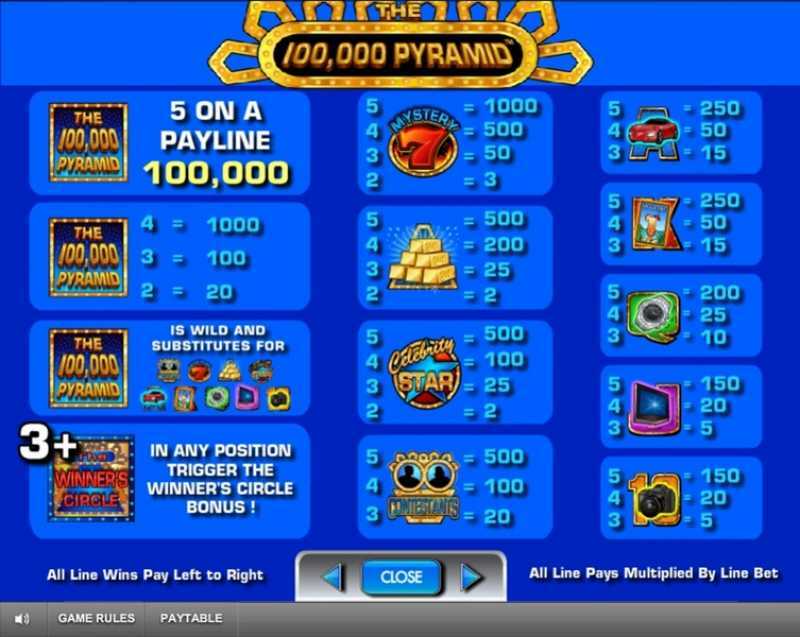 Other than the cheesy game show music (which can be muted), this is a fabulous slot which blends a classic retro look with a mighty jackpot. 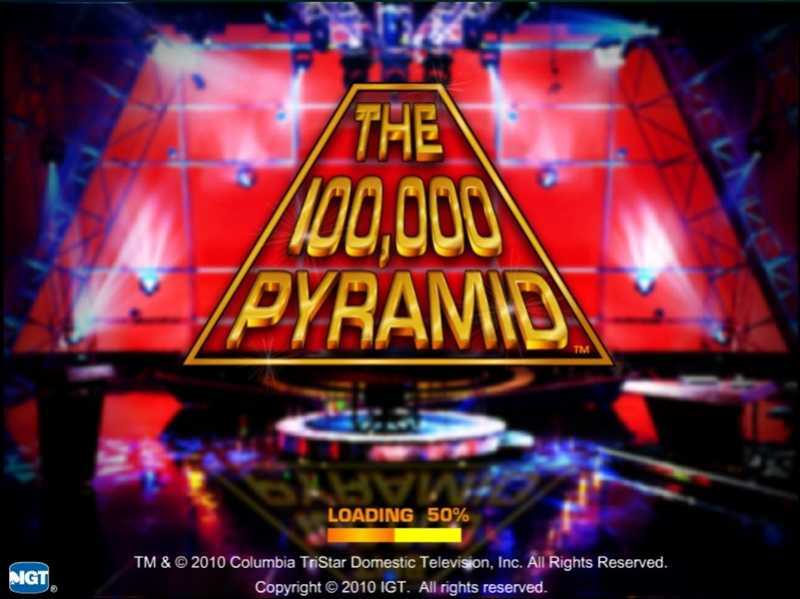 It’s certainly up there with other IGT blockbusters such as Cleopatra and Da Vinci’s Diamonds. Certainly well worth a spin.